The list was prepapred by the editors at Amazon’s Canadian site, so they’ve indicated the two books (in the top ten) which were written by Canadian authors. Their #1 pick for the best book of 2013 is by Canadian novelist Lisa Moore. (Caught, ” A thrilling adventure…the absorbing, suspenseful tale of David Slaney, a normal guy who chooses to make his way into the drug business…”) Interestingly, it’s the only one of the 10 that is not available on the Kindle! 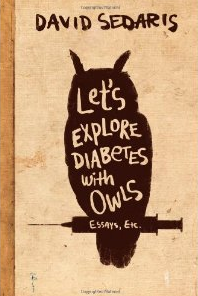 Stephen King’s Joyland came in at #11, and David Sedaris took the #17 spot with his new collection of humorous essays, Let’s Explore Diabetes with Owls. But Amazon’s list also included a lot of new author’s that I hadn’t heard of. Here’s Amazon’s complete list of the 10 Best Books of 2013 – along with their description of each book! 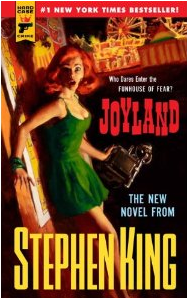 A thrilling adventure and a superbly written novel. Customers will enjoy it for the absorbing, suspenseful tale of David Slaney, a normal guy who chooses to make his way into the drug business, and for the brilliant sentence-to-sentence writing. A multigenerational Western spanning the 1800s Comanche raids in Texas to the 20th century oil boom, The Son is a towering achievement. The story of a suburban middle-aged teacher who never became the artist she thought she would be — if this novel were to have a subtitle, it would be: No More Ms. Nice Guy. What if you could be born again and again? 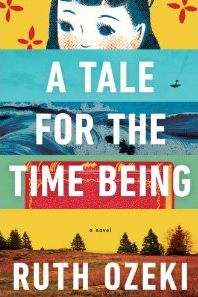 This brilliant, multi-layered novel answers that question as Atkinson’s protagonist moves through multiple lives, each one an iteration on the last, flirting with the balance between choice and fate. Following The Kite Runner and A Thousand Splendid Suns, Hosseini has written another masterwork, one that moves through war, separation, birth, death, deceit, and love—illustrating how people’s actions, even the seemingly selfless ones, are shrouded in ambiguity. Two adventures in one… recounting the 1942 crash (and subsequent struggle to survive) of a U.S. cargo plane crew in Greenland, and describing the author’s own participation in a modern day mission to uncover the mystery behind their disappearance. Saunders’ first collection of short stories in six years introduces his ironic, absurd, profound, and funny style to an army of new readers. This captivating supernatural thriller takes the genre to a higher level as renowned Miltonian scholar David Ulin is drawn to a mystery in Venice that eventually has him battling demons, internal and otherwise, to save his daughter. Roach is about as entertaining a science writer as you’ll find, and this book about how we ingest food will make you think, laugh, and wince as she covers all things alimentary. Forty years ago, our narrator, who was then a seven year old boy, unwittingly discovered a neighboring family’s supernatural secret. 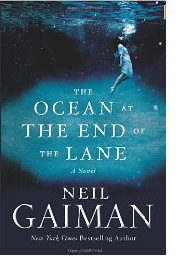 What follows is an imaginative adventure that could only come from the magical mind of Neal Gaiman. It’s also fun to compare this list to one Amazon released last month, of the top 100 best-selling Kindle ebooks of 2013 )at Top2013eBooks .) Because it turns out that none of Amazon’s picks for the best books of 2013 are on their list of the 100 best-selling ebooks of 2013. Not a single one — although maybe Amazon’s editors were deliberately trying to choose new books that people hadn’t heard of. And after the top 10 books, 8 of their remaining 15 choices were also written by Canadian authors — so maybe they’re just focusing on a different market. But it’s another yet another fun way to find new things to read on your Kindle! Has anyone read the amazon ebook “Luna Marina and the McMachina”? I just published it on amazon Kindle, and everyone who’s read it loves it. It’s about a 14-year old little girl who goes on the adventure of her life, to visit ancestors and explore her cultural background in Old Italy. See the link above or search amazon.com for Luna Blue, Luna marina, or McMachina. Get a New Kindle Fire for $169! 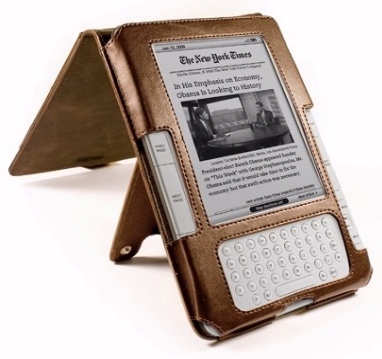 4th of July Sale on Kindle Accessories!